“JIT,” or Just-In-Time inventory management was originally developed by Toyota. 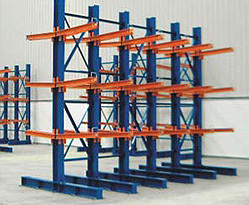 The philosophy of JIT lean inventory management has been successfully applied to several processes in various industries such as an industrial rack manufacture. What is JIT Inventory Management? With JIT inventory management, goods are received, stored and dispatched. However, the inventory levels for goods that are stored in the warehouse at just enough to meet immediate demand. The focus with JIT is on maintaining a lean inventory. Excess inventory is considered waste and only enough inventory is stocked to fulfill customer orders or provide resources for the manufacturing process is kept on hand. With JIT inventory management, back-up inventory is wasteful and contributes to overhead expenses. The funds used to purchase the extra stock is considered wasted. 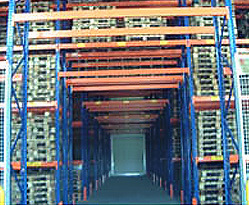 The staff hours required to store and maintain the stock is wasted, as well. The ultimate goal of the JIT process is to accurately determine exactly how much stock should be on hand to fulfill immediate need at any given time. One of the most important benefits of JIT inventory management is the ability of the business to control the cost of stock on hand. Costs of discarded or wasted stock and lost overhead are minimized with the JIT process. The JIT inventory management process provides firmer control over waste. Energy consumption is reduced when inventory is reduced. Less energy is required to heat and cool the storage units and warehouses. Reducing energy reduces overhead costs and is also good for the environment. Discarded stock and wasted units are reduced when stock is low, as well. JIT enables greater control over wasted resources and stock. The most salient limitation of the JIT inventory management approach is the difficulty in accurately predicting the demand for the stock. In most industries, demand is in constant fluctuation. Predicting demand may be quite difficult. For some businesses, predicting immediate demand is more straightforward than others. For those businesses that have somewhat predictable demand, the JIT inventory management approach is an ideal option. The JIT approach may result in slower fulfillment of customer orders. If the JIT process slows order fulfillment, customers may become dissatisfied with your service. Any impact on the customer’s perception of service may be too high a price to pay for the business. Applying JIT to inventory management is a great theory. However, in practice, the business will encounter a few challenges. For example, the natural fluctuation of market demand will constantly be a challenge for the JIT warehouse. If there is a marked and immediate jump in demand, JIT cannot efficiently address fulfillment. JIT may interfere with a business’ ability to respond to changes in demand. When conditions are perfect to implement JIT, this inventory management strategy reduces overhead and improves the company’s bottom line. JIT Inventory Management: When is JIT Right? JIT inventory management strategies may be applied to many different manufacturing and warehousing situations. However, the JIT approach tends to be most effective when implemented within a predictable manufacturing process. The JIT approach for raw materials and necessary resources for a manufacturing process is the right approach. However, in conditions where customer demand fluctuates, the JIT approach may not be feasible. A modified JIT implementation may be used in such conditions. By imposing strict inventory controls, and monitoring and improving the fulfillment process, a form of JIT may be successfully applied. When customer demand fluctuates, the business should opt for keeping backup stock on hand. Customer satisfaction depends on receiving the product quickly after the order is placed. A strict JIT warehouse may need to delay delivery to the customer. The business’ objective should be to quickly dispatch the product once the order has been placed. If backup inventory is required to ensure that the customer will receive the product in a timely fashion, then extra stock should be kept. Though JIT inventory management is an effective strategy in some industries or applications, when JIT interferes with customer satisfaction, the decision should favor the customer. In manufacturing processes where resources and material usage can be accurately predicted, JIT is an ideal approach for inventory management.